Dhanush and Sonam Kapoor have paired up for the upcoming Bollywood film, Raanjhanaa and this provided a platform for Dhanush to meet up with Sonam’s dad, Anil Kapoor. Anil has earlier worked with Rajinikanth in a couple of films and the two still share a good friendship. Anil Kapoor, after his meeting with Dhanush has reportedly said that the Ranjhanaa lead and the Superstar have something in common. Anil Kapoor supposedly feels that both of them are extremely humble. Very well spotted! Meanwhile Raanjhanaa is releasing on June 21st. The Tamil version, titled Ambikapathy will also release on the same day. Madhan Karky teams up with Ilayaraja! Dhanush Between Suriya And Sasi Kumar? 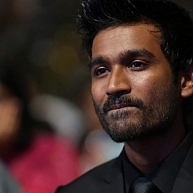 Dhanush Signs K.V. Anand's Next! How Could I Say No To Superstar Rajinikanth? Why Did Team Kochadaiyaan Drop The Plan?